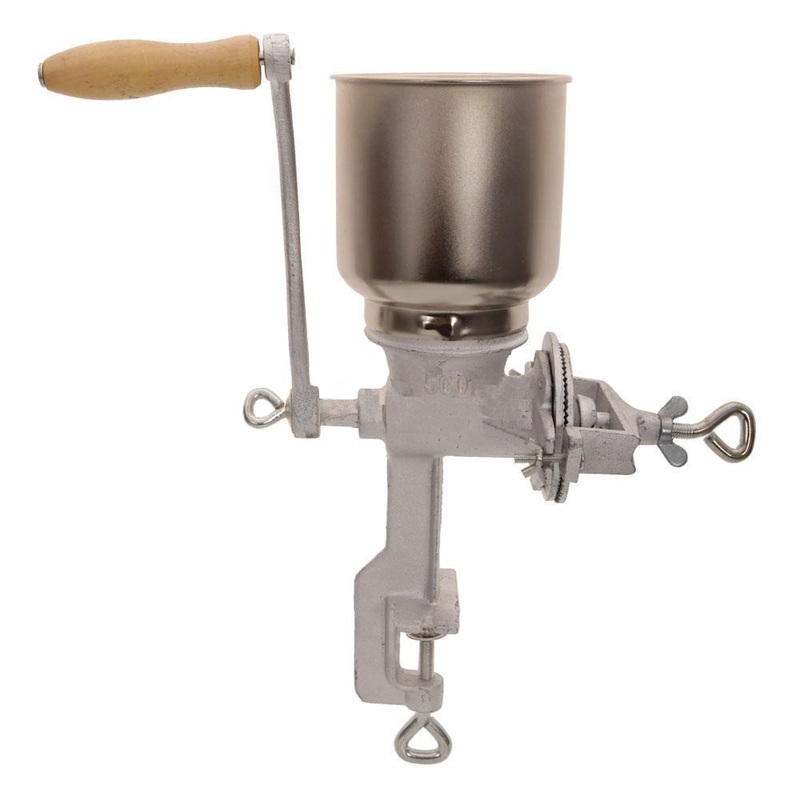 Hand crank grain grinder. These grinders are adjustable. Will grind grain into fine meal (coarse flour, such as what you may want to capsulize pelleted or grain products) or more coarse particles such as you might want to feed chicks. Mounts to a table top edge with adjustable built on clamp.